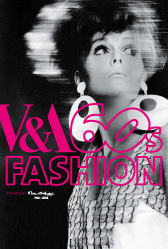 Make a date in your diary for Saturday January 20th 2007, when the V&A in London will host Costume Society Study Day: Reconstructing 60s Fashion – a study day covering 60s fashion, with some of the era’s biggest names in attendance. The event runs from 10pm until 4:30pm and features contributions from Mary Quant, Paul Gorman, Zandra Rhodes, Felicity Green, Barbara Hulanicki, Marit Allen, Marion Foale & Sally Tuffin, Paul Reeve, Justin de Villeneuve and Sylvia Ayton. Themes to be discussed (with audience participation) include Design and Education, Journalism and Photography, Boutiques and Shops, Music and "The Scene". Tickets are priced at £38, £32 (senior citizen), £20 (Costume Society members) and £12 (students with ID).